Trends come and go, albeit fashion, music or food. 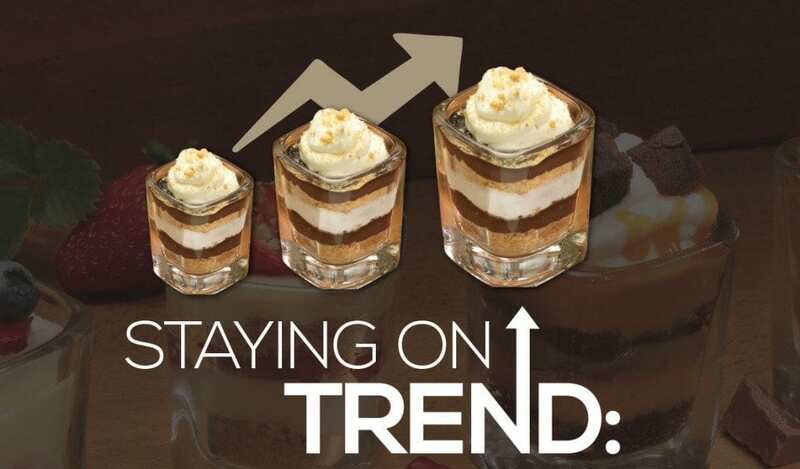 In the case of the foodservice industry, it’s safe to say that anyone paying close attention to the carousel that is food trends has witnessed countless changes, from menu options to where and how trendy items are prepared and served. And with the continuum of food trends piquing our palates and then fading out of the limelight, the focus has shifted a bit to highlight not only on food trends, but how they affect the foodservice industry. When it comes to decreased food interest, a major culprit is opioids – a pleasure releasing brain chemical stimulated by new experiences that become less intense after several repeated experiences of the same thing, yielding a “been there, done that” result, as published in Why People Get Bored by www.psychologytoday.com. Additionally, market saturation is a definite factor in trend decline. Further growth, according to Investopedia.com, can only be achieved through market share gains, a rise in consumer demand, or product improvements. With opioids and market saturation both affecting the popularity of food trends, it could be safe to assume that a culinary development dies off once it becomes a gastronomic bore; however, the seeming end is not particularly final for any specific flavor experience. World-renowned Chef Daniel Boulud’s insight on this topic is noted in a simple and straight to the point phrase, where he states “Trends have to die in order to reinvent themselves.” However, this doesn’t only apply to food trends, but food establishments as well. Internal restructuring, rebranding, and overall presentation are the ingredients for brand revival within the industry. Recent examples of trendsetting trailblazers in the food industry are major influencers such as the mega-successful Panera, Wendy’s, and Starbucks chains that transitioned customer-focused trends into major, long-standing movements throughout the industry. For instance, Panera added caloric counts to its menu before the government ruling for restaurants to do so had become official; Wendy’s being a forerunner in sourcing better ingredients and Starbucks returning to the handcrafted latte model were examples of industry leaders setting the pace for change. Additionally, grocery stores such as Whole Foods and Eataly were pioneers in offering full-scale grocerants, which raised the bar in the grocery industry regarding what consumers have come to demand, and what other kinds of restaurants must do to remain competitive. What the customer wants, they shall receive including everything from trendy ingredients to the reinvention of old classics that run the gamut from all-day breakfast options to late-night snacks. In regard to the first meal of the day, QSR breakfast sandwiches date back to Jack in the Box’s 1969 Breakfast Jack, featuring a fried egg, ham, and American cheese on a bun. But customer demand championed change. Therefore, the breakfast revolution began with the addition of biscuits, muffins and tortillas as alternative options to regular buns for breakfast sandwiches. The recent upgrade to flatbreads, wraps, tacos, and burritos, as well as baked goods such as scones, muffins, donuts, and mini cakes are now offered as standard breakfast items. And to keep the interest of choosy breakfast eaters, portable oatmeal in several flavor varieties, and innovative waffle and pancake breakfast sandwiches garnish breakfast menus across the country. Seeing as offering daypart options are a definite way to increase sales, even food giants such as Taco Bell, traditionally known for their Tex-Mex lunch and late-night cuisine, has hopped on the bandwagon of breakfast sales, offering traditional combinations in burrito and taco form. The company also boasts portability as a selling point with wraps that encompass every element of a breakfast meal in its contents. Adding to the significance of the breakfast trend is upgraded coffee selection, as QSRs are aware of the changing culture among coffee drinkers now looking for more gourmet blends. Establishments such as QuikTrip® and Sheetz are modern examples of gourmet convenience store chains that are catering to the growing audience of consumers who seek more upscale provisions. Their menus read like a short novel of tempting goods, including freshly made flatbread sandwiches, pizzas, premium milkshakes, chicken wings, fresh salads, and other goodies that outshine the typical roller-grilled hot dog. Sheetz allows consumers to order online via their website – a far cry from the casual walk-in convenience store of yesteryear. And due to a sociological sway in public opinion regarding health, foodservice providers across the board are focusing on the trend of shrinking their menus and creating the modern, chic eating environment today’s consumer expects. Fitness gurus of the past such as Richard Simmons, Jack LaLanne and Jane Fonda were the go-to sources for mainstream information about health. Today there are television shows such as The Doctors, Dr. Oz and The Biggest Loser that tap into people’s emotional sides when it comes to health. On top of that, almost anything people want to find out about is only a keystroke away from public knowledge thanks to the Internet. The masses no longer depend on nutritionists and personal trainers as a sole source for optimal health information, and they have taken their newfound knowledge and health-focused demands to foodservice operators, setting the path for the expansive health trend that is currently overtaking the industry. Starting with children, foodservice giant McDonald’s has incorporated items such as yogurt, fruit, fat-free chocolate milk, low fat white milk, and apple juice into their famous Happy Meals. Burger King followed suit with the addition of Satisfries to their menu, as well as apple slices, apple juice and chocolate milk. Wendy’s, KFC, Subway, Sonic, DQ, and Arby’s are other examples of restaurants following the trend of better nutrition for children with the addition of fruit, juices, yogurts and milk to their menus as well. Also, more of a food-allergy and gluten-free focus has been sweeping through the industry as part of the health trend. A greater push for more protein-rich ingredients and dishes have also become more widespread, as well as bite-sized entrees (tapas) and snacks to support portion control, and reduced calorie meal options can be found on almost every FSR in the industry. It’s not just about the aesthetic-inspired trend of “boutiquing” eating establishments to make consumers comfortable, but also the trend of looking knowledgeable to the general public overall. Conceived from this idea is the trend of creating a suitable environment for all diners with the addition of customizing dining options; banning the use of cell phones while dining as to not disturb other guests, and declining special food requests to ensure timely service. International influences are a factor as well in terms of trends. With America being the salad bowl of nationalities, palates are becoming more adventurous and open to flavors outside of American culture, such as Indian spices, and Asian cuisine. Be aware that structured eating is also a thing of the past, as meals are interchangeable now, i.e., breakfast can be served for dinner, and snacks are consumed as meals. There is no doubt that as long as new spices, fruits, vegetables, or any other kinds of consumables continue to surface as safe to consume, the foodservice industry will continue to evolve. New trends will be ever-present on the menus of eateries across the country, and consumers will continue to turn out for a taste of the latest and greatest.